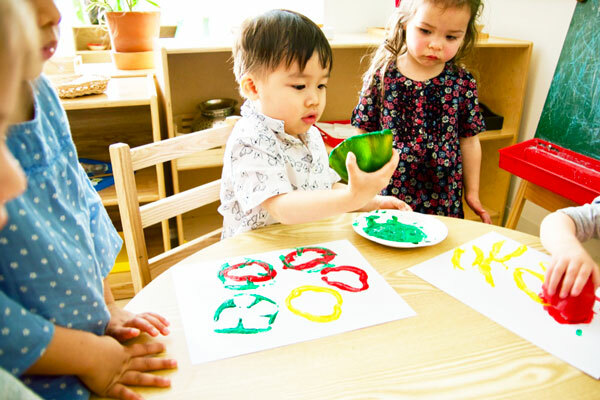 Pine Street School offers a program for 2-year-olds that is filled with opportunity for creativity, movement, social skill development, early literacy and numeracy, and learning how to be independent and self-sufficient. Starting in our Twos Program, parents can choose an English-Spanish or English-Mandarin dual language immersion track. The half-day Twos Program is 8:45am-11:45am. Parents can also choose an Extended Day Program that runs until 6pm. 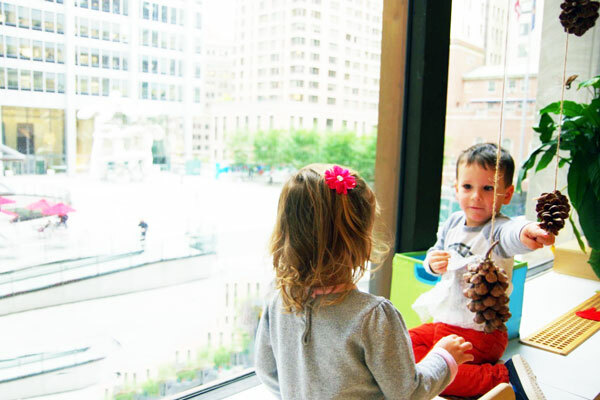 Capitalizing on the crucial first years of life, Pine Street School’s Twos Program nurtures and guides young children as they begin the journey of becoming lifelong learners. Young children feel at home in the inviting and aesthetically pleasing Pine Street School Twos classroom. The environment fosters exploration, order, movement and freedom of choice. The size of furniture, bathrooms and shelving is proportioned to the learners, enabling self-care and the development of independence and confidence. Our program lays the foundation for a lifetime of successful learning with a carefully prepared classroom environment that adapts daily to the dynamic growth and evolving skills of our Twos. Teachers in the Twos Program facilitate, guide and model. 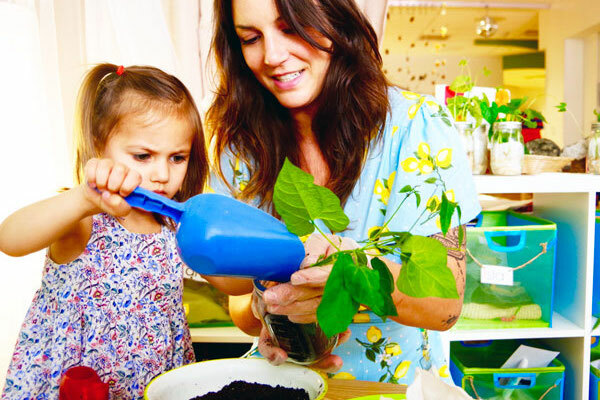 They remain present and nurturing, allowing the child to explore and benefit from the classroom environment. Our low student-to-teacher ratio allows the teachers to design a curriculum tailored to each child's level of development and provide individualized guidance. Children naturally learn about, classify and organize their environment through their senses. They are encouraged to explore foods and classroom materials using sight, sound, smell, taste, weight, contour, dimension, shape and texture. Literacy is a social process. Its development is promoted in the context of peer interactions. Children expand their vocabularies, use rhythm, rhyme and repetition with stories and songs, and build expressive language. During storytime, they engage in reading comprehension activities, ask questions, develop listening skills, and initiate conversations. Children develop prewriting skills by developing dexterity and hand strength with playdough, clay and writing utensils. Our Twos Program introduces five basic math concepts: numerals and operations, geometry, measurement, patterns and relationships, and collecting and organizing information. Children use their senses and classify by color, shape and dimension. They compare and contrast objects, rhythms and music. 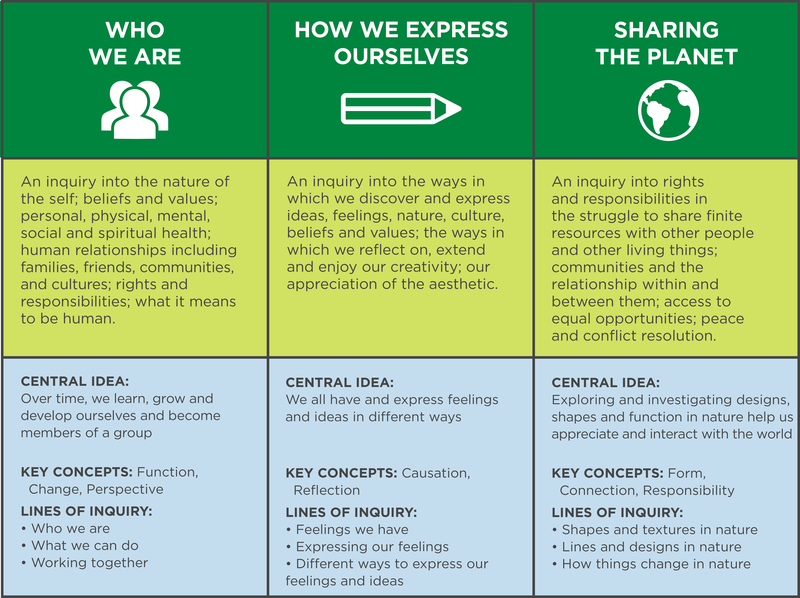 The integral components of our science curriculum are observing, wondering, predicting, experimenting, analyzing and concluding. Students use cups, funnels and other materials to learn physical science concepts such as volume, weight, gravity and force. They plant seeds, observe caterpillar metamorphosis and witness animals in natural habitats to develop a deeper understanding of life sciences. Children discuss seasonal changes to promote observation and prediction while learning about the environment. Our curriculum gives children a sense of community outside of home. Children appreciate cultural diversity through stories, music, objects, art, language, geography, celebrations and foods, starting with acknowledging and respecting the diverse heritage of the children and families in their classroom. Practical life activities encourage the child to take care of the environment with appropriate tools. The children care for the inside through cleaning up after themselves. We will also encourage exercises such as pouring, opening and closing, bead stringing and water activities. These activities are aimed at enhancing the child’s development of fine motor skills, hand-eye coordination, balance, sense of order, concentration and independence. Dress clothes and other dramatic play activities allow Twos to pretend to be whatever they want to be. It allows them to use speech and body language. It is a great way to learn empathy and explore their creativity. One of our Twos lead teachers is also our school’s Art Teacher. So, all of our Twos enjoy substantial time each week in dedicated art and creative experiences with our resident Art Teacher. In addition, our regular classroom experience is filled with opportunities for artistic expression. Our Twos enjoy weekly and dedicated lessons in music with Pine Street School’s talented Music Teacher. 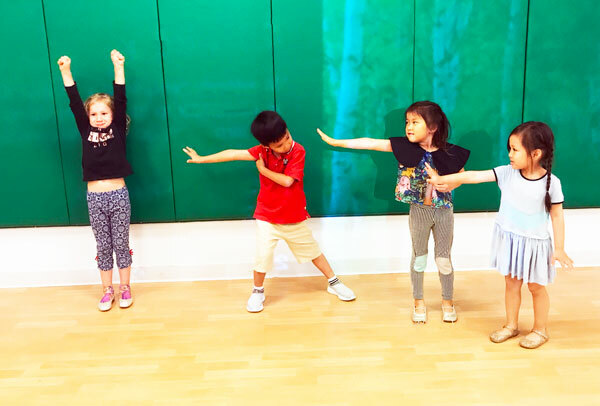 They explore various instruments, learn songs and melodies, explore cultures and stories, and all with voice and body in a fully kinesthetic and engaging way. Music is also an excellent vehicle for language development, so our music lessons are designed to nurture fluency in both English and Mandarin or Spanish. Gross motor skills are heightened in physical activities like rhythm/music, movement, and outdoor play. Fine motor skills are heightened through practical life activities. Imagine your 2-year-old getting excited to help set the dinner table with you. We can help make that happen. Extended Day is available until 2:45pm for Half-Day students who still nap and would like to begin transitioning to full-day. After School Clubhouse is available for any Extended Day or Full-Day students. Learn more here. indoor and outdoor play areas to meet the child's need for gross motor development.